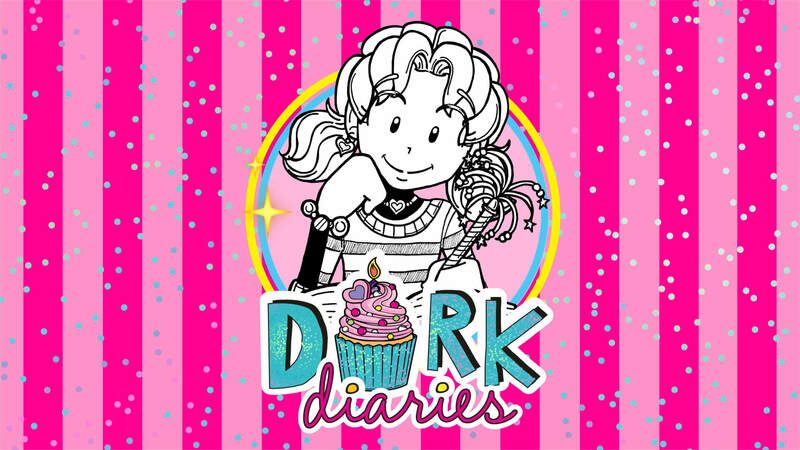 I hope you enjoyed my video for DORK DIARIES BOOK 13: TALES FROM A NOT-SO-HAPPY BIRTHDAY! To celebrate its release, I’m going KAY-RAY-ZEE with this party stuff! Mostly EVERYTHING here will be about PARTIES, PARTIES and MORE PARTIES for the entire week. Hopefully, this will be a super FUN week!! And, when we’re done, EVERYONE here will be party EXPERTS and ready to throw your OWN bash! So, now it’s time for YOU to select the THEME and DECORATIONS for YOUR party! My BFFs and I have lots of cool party ideas we picked out just for YOU! Even MacKenzie has some suggestions for you! I know. I couldn’t believe it either. I think she’s being super nice and helpful just so you’ll invite her to your party! 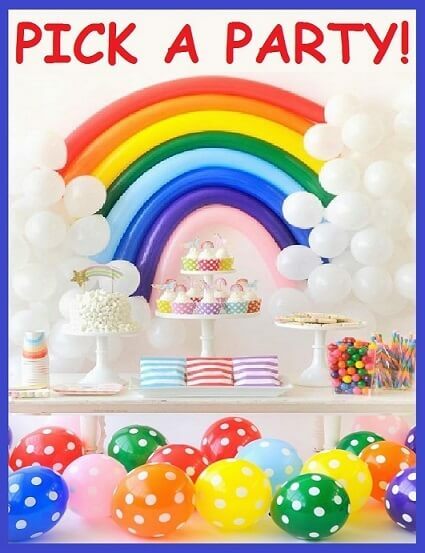 Let me know what you think about our fabulous party ideas in the comments section below. Mackenzie’s pampered princess cake is the best! Plus, Nikki, if you hate mackenzie and if she hates you, why is she even helping out with the party??? hi nikki and girls,just wanna say……MY PARENTS WIL NEVER EVER EVER LET MEE HAVE A PARTY.i totally DISAGREE!!!! !&my exam is coming up so my parents DO NOT let mee do anything except worksheets that feels terrible!!!!! !And nikki,i invited u chloe zoey and brandon.obviously not MAKENZIE!! !Da DRAMA QUEEN!! !nikki after i finish my exams,i will definitely ask my.mom to buy the TALES FROM THE NOT-SO HAPPY BIRTHDAY.Nikki the birthday thing was awesome……so thanks.for the party planning thing!!!!!!! Yes, I want something Halloween themed and SPOOKY! Please do something Halloween themed! I wanted to share one of my first pieces of advice because I know that some people starting out don’t think theirs is long enough or short enough or good enough. I’ve been there and most of you only know me from long pieces of advice and always replying back, but I wasn’t any of that in February 2018. This is from Brandon’s, 5th page, ‘Friends won’t stop texting me’ 63rd comment. ‘Turn your phone off or put it somewhere else until you have finished homework or other important stuff. If you’re really frustrated tell your friend if they could stop texting all the time but it’s all right to text you now and again. You’re starting out and practice makes permanent, so every piece of advice is your practice and eventually they will improve! Trust me! I’ve been there. The blog has really changed me as a person. I’m not insecure anymore and that’s one thing I hated. I sent in a comment a couple days ago,but it didn’t post.So here we go again. You’re right Miss Dork. Practice does make permanet and this is a perfect example. Isn’t it crazy that you can go from writing a couple sentences of ok advice to writing a couple paragraphs of AMAZING advice. That just shows that you can do anything! I love descendants I voted for that. My birthday is in on Wednesday! Actually, if Mackenzie is not acting like a bully and will be friends with Nikki, then I will totally let her come to my party. I Really Love Nikki’s Posh Parris Party The Cake Is Supper Cool. And For Brandon I Luv The Fuzzy Friends Party, Because I Just Love Puppies! For Mackenzie I Really Love The Pampered Princess Party The Cake And The Theme is To Die For. Also I Love The Ice Cream Party For Chloe. Zoey’s Unicorn Theme Party Is Really Cool And Cute Too.. But I Would Probably Invite Nikki. I mean I Invite Nikki. Nikki is The Coolest Person To Choose. OMG OMG Chloe’s ice cream dream party look so pretty!!!! I wanted to write another comment but you probably aren’t reading this, but here are my most fav parties from each dorky character! -Nikki’s posh paris party because I just LOVE Paris! -Brandon’s Safari party because it looks so cool and I love animals! Guys, what are YOUR favorite parties?! I’d love to hear them! You will all have SUPER unique ideas because you are my dorky pals, and you are all unique and dorky! I invited everyone but mackenzie, and chose mackenzie’s pampered princess party! If I had a party, it would be a cross of the themes for DC, Marvel, and Star Wars party, because those are my favorite things in the world! Yeah, all of these options are so girly! They should’ve really thrown in some themes like superheroes. I LOVED the emoji one! You have to pick one party for each person. It was so easy.